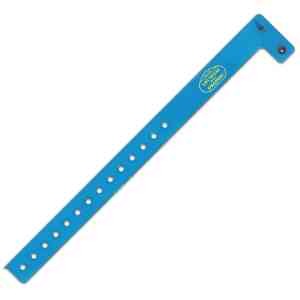 Same Day Service: Same Day Service - Keep security tight with this one time use, 3/4"H wristband. This item is excellent for extended wear and stays secured on the wrist with locking plastic snaps. Customize for any event with bar codes, customer numbering, or company name/logo. Waterproof fabrication makes it ideal for outdoor venues. Great for sporting events, concerts, and festivals. Recommended wear time is 7-14 days. Made in USA. Available in multiple colors. Price Includes: Each additional set-up.